The Los Angeles Kings defeated the Vancouver Canucks 4-1 Monday night at Vivint Smart Home Arena in Salt Lake City before a crowd of 12,367 that featured nearly 1,000 walk-up buyers on the day of the game. Tyler Toffoli scored twice, Anze Kopitar redirected a slick Alex Iafallo feed to give the Kings some third period breathing room, and Dion Phaneuf scored on a slapshot from the left circle 42 seconds later. Michael Amadio registered two assists in the win as Los Angeles improved to 1-3-1 in the 2018 preseason. 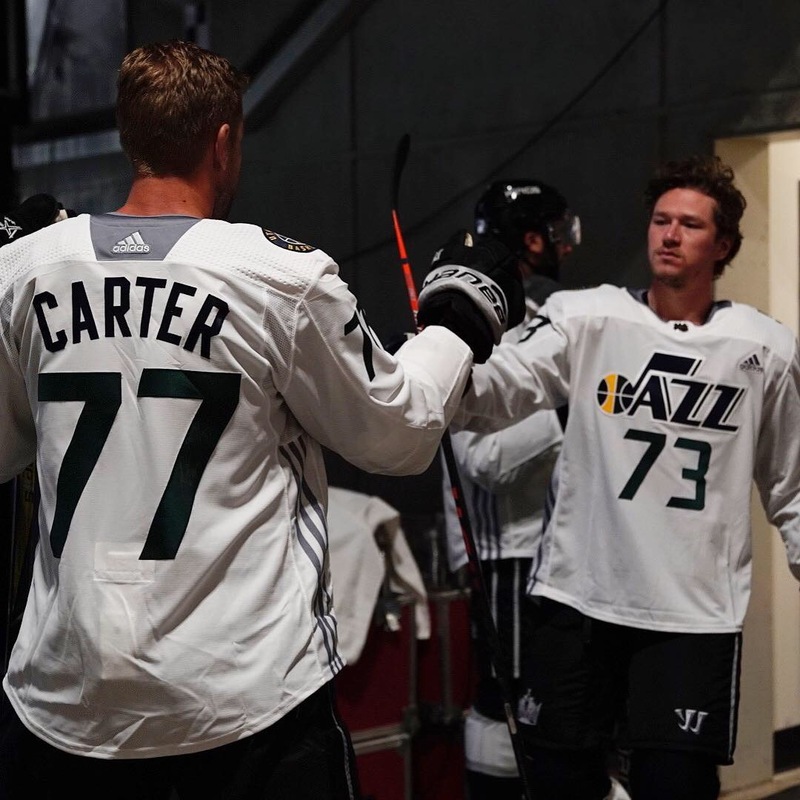 The game served as a homecoming for Trevor Lewis and Daniel Brickley, who appeared in front of dozens of family members and friends as two of the five Utah-born players to have played in the NHL. The others are Steve Konowalchuk, who leads all Utahns with 790 games played, Dylan Olsen and Richard Bachman. I liked our team, to be honest with you. I thought our D as a group played pretty well. I still think our special teams still have some work to do, but that’s going to take some time to iron out the wrinkles there. We’ve got to get some work this week on that. But I thought we were happy with all lines. I thought Kopi’s line really looked like they had good life. Obviously Amadio, Pearson and Toffoli were really good. I thought Thompson’s line was really good on the forecheck and created two opportunities, and I thought Carter, Kovalchuk and Kempe, it’s a little different. That line gets broken up a lot with special teams. There are different guys killing penalties and different guys playing power play, but I think overall that line has an opportunity to create a lot of speed on the rush. You can see what Kovy’s able to do with his slick hands to create space. I thought overall it was a better outing for the group. Yeah, it was great. We got to come in a couple days early and see some people and I kind of showed the boys around Utah a little bit, and obviously tonight it was a big win for us. It was a lot of fun. Yeah, I think so. We’d struggled a little bit the first few games and knew we’d have to have a good one tonight. I thought we really improved and had a good game out there. Yeah, I mean, he looks good out there. He’s got a lot of poise, and he’s a big guy and he moves his feet well. Yeah, I thought he looked good tonight. Just being able to play in front of my family, and fortunately my dad’s still around. That’s something I’ll cherish for the rest of my life. Oh, of course. It’s my childhood dream, and every day I’m living it. You’ve got to bring yourself down from cloud nine once in a while. I’m liking my offense. I’d like to continue to get better defensively, close quicker. But it’s just adapting to the professional game, and coming from college, you could say I could get away with it a little bit, but defensively, shutting down quicker. Yeah, and some. Great turnout. It was a lot of fun. It was electric out there. I hope we entertained the folks that came. Everything I expected and some. It was good. It was nice to get the start in front of my hometown and get the win as well. It was electric. The fans were really involved. I caught myself looking up at the jumbotron a few times, whether it be the Kiss Cam or the dancing or whatever. It seemed like they had a lot of fun.